“Weird” is a precious commodity in video games. 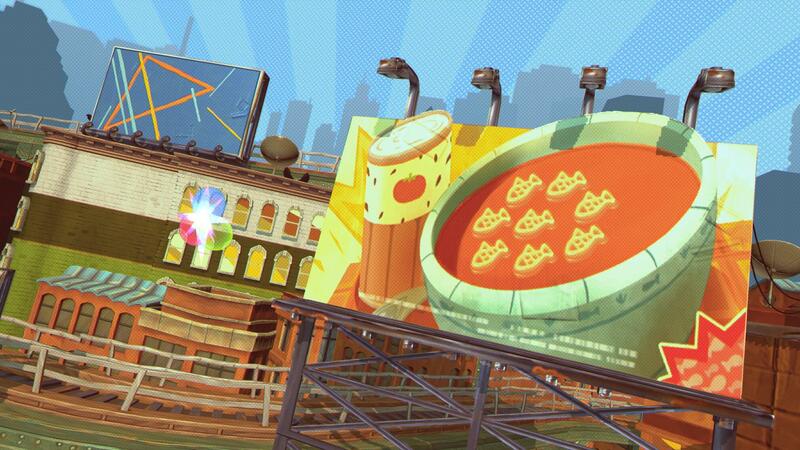 There’s something inherently odd about the medium’s particular take on escapism as a whole, sure, but true weirdness in video games is typically reserved for wacked out J-imports like Katamari Damacy and Gitaroo Man. 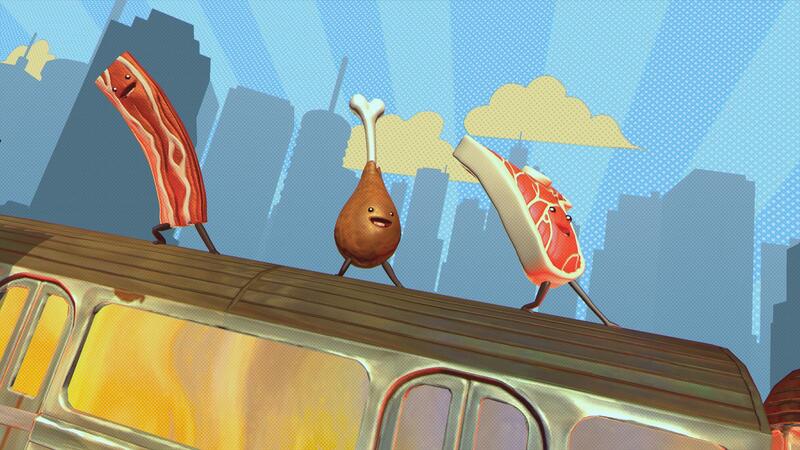 Fantasia: Music Evolved brings the weird. Disney’s animated musical anthology doesn’t directly translate into an interactive context, so instead Harmonix embraced the flavor of the film and adapted it into something that, against all odds, feels at first blush like an honest representation. The long-in-development Kinect game is finally nearing its release, and we got the chance to see how it’s coming along at a pre-E3 event. You’re a wizard. 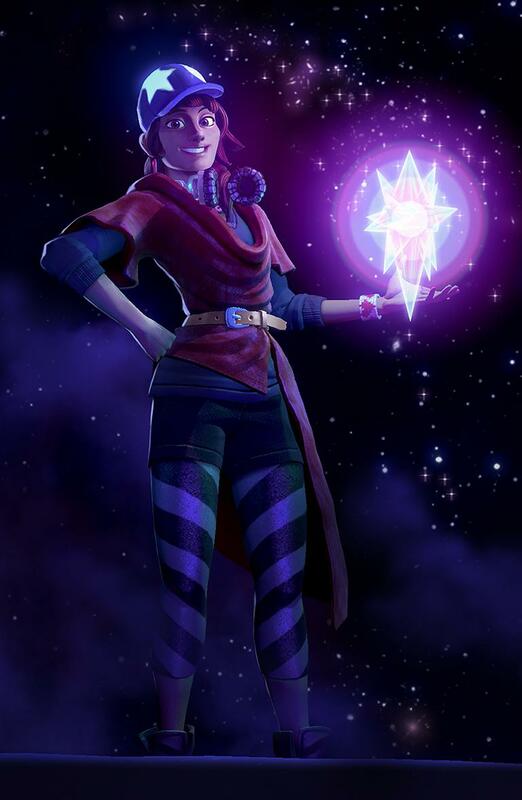 Fantasia: Music Evolved latches onto what is perhaps the most recognizable element of the original film — the famed Sorcerer’s Apprentice short — to help shape the heart of its narrative. 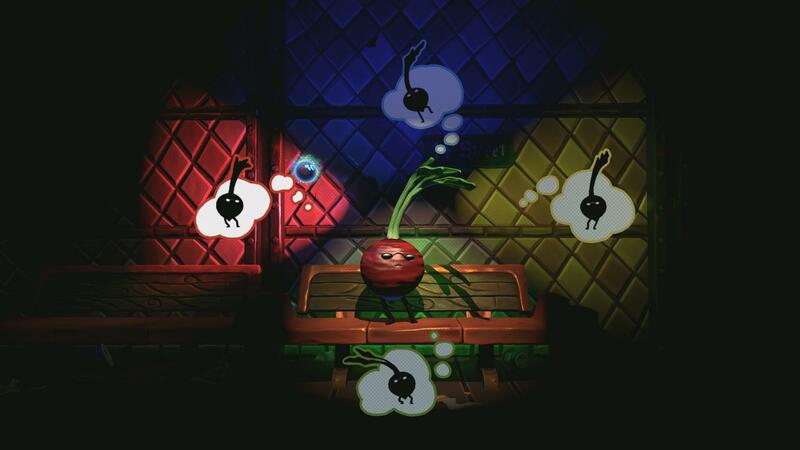 The game puts players in the role of a musical wizard-in-training, an apprentice of the original film’s Yen Sid. It’s a sweet gig, but you foul it up right away at the start of the game when you unleash a force called “the Noise” into the world. 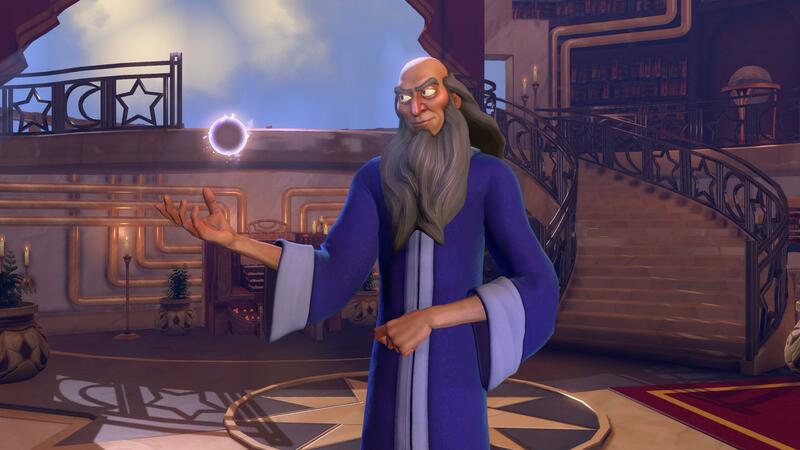 With the Noise threatening to consume all of Fantasia and Yen Sid sure to be royally pissed at your inadvertent near-destruction of all existence, you take the only appropriate course for a bumbling apprentice who’s fouled things up: try to fix it. Hooking up with Scout, one of your master’s former students, you march through a series of musical worlds as you work to set things right. The narrative wrapper provides context for Fantasia: Music Evolved‘s play, but it also serves as a friendly way in to learning a number of complex systems. We didn’t get to see the tutorial in action, but Harmonix felt it was important to root the teaching tools side of the game in a story. Casting a musical spell. Your progress through Fantasia: Music Evolved is marked by your interactions with the game’s library of licensed music. There’s an assortment of other bits and pieces to play with, but the process of opening up new worlds and the music they contain hinges on weaving melodic spells that rely on body gestures using Kinect. This is where explanation gets tricky; Fantasia is better experienced than described. Jump into a song and you’re treated to a psychedelic light show of swirling colors and patterns, all of which serve of the purpose of directing your hand and arm movements. For example, a shooting star-like flare of colors moving from left to right across toward a glowing point of light means you need to wave one of your hands in a similar left-to-right motion just before the color pattern reaches its destination. That’s just one example, of course; the game’s iconography — which you’re taught gradually, we’re told — tells you when to wave an arm, push toward the screen, hold a position, and more. The “musical wizardry” is realized in the frequency with which these patterns appear. The game doesn’t differentiate between your left or right hands in terms of what it’s asking you to do, but it does barrage you with multi-layered movements, all set to the beat of the song, which in practice makes using both hands a requirement. The more complex musical numbers can have upwards of 10 different movements queued up on the screen, and the resulting gestures in real life end up resembling the magical hand patterns woven by Yen Sid and Apprentice Mickey in the original Fantasia. Deeper into the game, you’ll also unlock different arrangements for each piece of music. There are three in total per song; one original mix and two more unusual takes. So, for example, Drake’s “Take Care,” one of the newly confirmed songs to be featured in the game, also includes a multi-voice a capella version of the song as one of its alternate tracks. There are multiple switch points in each song that allow you to jump over to one of the other unlocked arrangements. Hello neighbor. 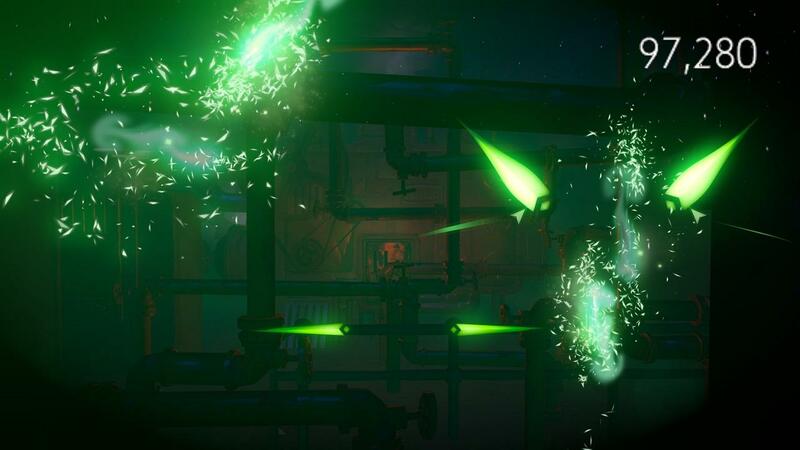 Fantasia: Music Evolved breaks out across multiple levels, each with its own distinct audiovisual theme. 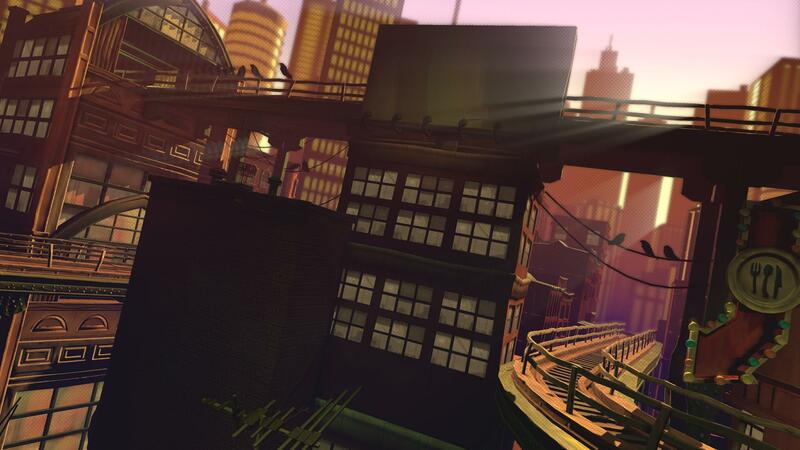 In “The Neighborhood,” newly revealed for E3 2014, Harmonix aims to give off the vibe of an ’80s-era New York City (with the graffiti but minus the high crime). Every level is presented as a 2.5D landscape that scrolls left and right as you lean in either direction, and the spaces are all littered with bits and pieces you can interact with in one way or another. Some of these interaction points are the songs that serve as the gateway to opening up additional content. Play through one and complete certain scoring goals to see more of the surrounding world come to life, which you can then manipulate using your hands. 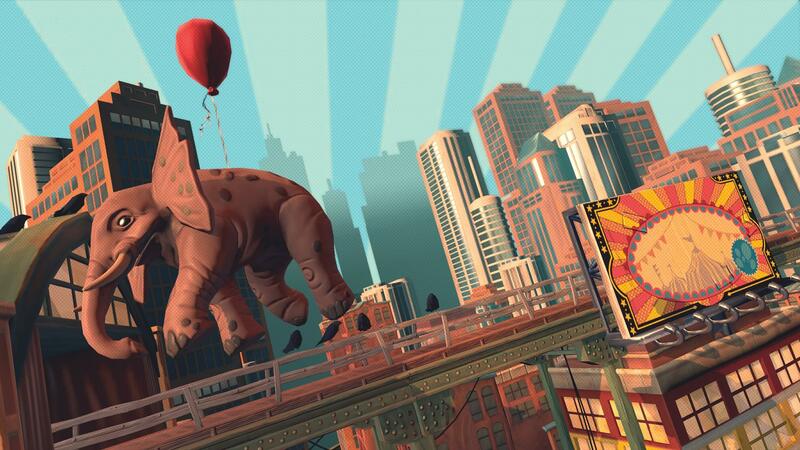 You might pluck seemingly painted-on elephants off of one billboard by guiding a balloon over to it, and then push the newly animate, balloon-borne elephant off to a nearby billboard, depositing the animal in a savannah-like setting. Or maybe you’ll head down into the subway system and, using gestures, craft a completely original piece of music by using your hand to move a cursor over different sound-producing pads while a meter at the top of the screen counts out the time. In the case of The Neighborhood’s subway, you’re creating music for a band of beatboxing vegetables (there’s also a meat option), with four different sound pads for each member of the veggie virtuosos. There’s Fantasia: Music Evolved is structured like a video game in terms of its progression, and there is a process of “beating” it, but the feeling from our demo is that you’re missing the point if you’re simply playing to “win” at something. Progression is merely a necessary obstacle to unlocking more creative tools for you to play with. This is a game that is meant to appeal to creative types, with sharing tools that allow you to broadcast your creations out into the world. Fantasia: Music Evolved has come a long way since we first saw it. The heart and soul of the game remains what it was originally billed as, but the technical execution has been tightened up considerably. Mass appeal is still likely to elude the game because of how fundamentally bizarre a prospect it is as a video game, but the flexibility of the creative tools and apparent depth of content carry lots of promise if you’re a music-loving, creative-minded player. It won’t be much longer before Harmonix casts its spell. Fantasia: Music Evolved comes to Xbox One and Xbox 360 (with Kinect) on October 21.